One of the largest and most splendid of the multi-volume Dutch world atlases. 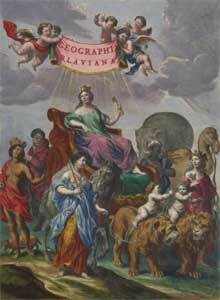 This volume was published in 1662-5, covering the whole known world in 594 maps and 3,368 pages of texts. We are very grateful to David Rumsey for supporting the scanning and wider dissemination of this atlas. Read further information about the atlas.